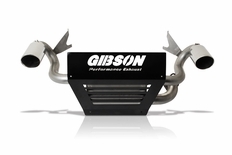 This Gibson Dual Exhaust Kit is the perfect addition to your Polaris! Complete with a off road plate that looks amazing, this exhaust adds 3-5 more lbs of torque and 2-4 rear wheel horsepower. USFS Approved Spark Arrestor, no packing to replace, better performance, better looks, the choice is obvious! 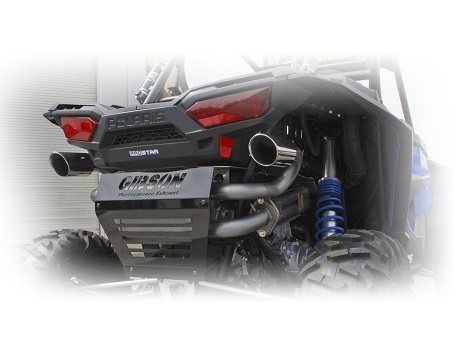 This Gibson Dual Exhaust Kit is a direct fit replacement and includes all hardware for a hassle free bolt on installation on your 2016-2018 Polaris RZR XP1000 Turbo models. It has dual 4" Tips and 2.25" diameter piping. The part number is 98025.